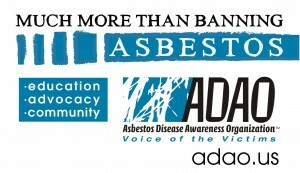 The Asbestos Disease Awareness Organization (ADAO), the largest non-profit in the U.S. dedicated to providing asbestos victims and concerned citizens with a united voice, is pleased to share a Year-End Summary of Accomplishments including our education, advocacy, and community impact in 2018. As a leader in social media advocacy, we are on the front lines working to end the man-made asbestos disasters on many levels. ADAO further strengthened its network of victims, physicians, researchers, public health practitioners, and labor union members by utilizing social media platforms such as Facebook, Twitter, LinkedIn, and YouTube. Some of our biggest highlights of the year include: presenting at several conferences around the world spanning from Ghana to Brazil, hosting our 13th Congressional Staff Briefing, participating as a stakeholder in many legislative discussions, being a resource for the media, expanding our “Share Your Story” collection to over 200 stories, coordinating Global Asbestos Awareness Week, and hosting our 14th Annual International Asbestos Awareness Conference. Every accomplishment ADAO achieved in 2018 was possible because of the generosity of the volunteers, sponsors, and donors who fuel our work and further our cause. The organization’s growth continues to reflect the development and progress made around the world in this issue area. We look forward to continued shared success throughout 2019 and beyond. Distributed 12 monthly eNewsletters with the latest asbestos-related news and events to a global audience. Hosted ADAO’s 3-day 14th Annual International Asbestos Awareness and Prevention Conference: “Where Knowledge and Action Unite,” which brought together nearly 40 expert speakers and over 100 patients, physicians, researchers, educators, and public health advocates from 9 countries to discuss updates on the prevention, detection, and treatment of asbestos-related disease and global advocacy for an asbestos ban. Hosted multiple lively #ENDMeso Twitter chats to maintain a constant conversation on social media and promote sharing education. Flew a flag over the Capitol in Washington, D.C. in honor of Mesothelioma Warriors on Mesothelioma Awareness Day. Built our Know Asbestos website that is a one-stop resource guide to learn about asbestos and what to do about it. The Los Angeles Times “One-third of American schools still contain asbestos. That’s unconscionable”. CNN “It’s time for the EPA to ban asbestos once and for all”. Huffpost “Film Icon Steve McQueen’s Legacy Lives on in his Wife’s Fight to Ban Asbestos”. Supported the creation of “Breathless – Fighting the Global Asbestos Industry” a film about the export of the asbestos industry to the developing world, focussing on a Belgium company ETEX/Eternit, which operated factories in Belgium and in India. Coordinated Global Asbestos Awareness Week to raise public awareness about the prevalence of asbestos-related diseases and the dangers of asbestos exposure.  Published and shared new “Share Your Story” submissions from patients and families from across the globe who have been devastated by asbestos-related disease. Hosted multiple virtual candlelight vigils throughout the year via ADAO’s “Light a Candle” website. These vigils provide an opportunity for individuals to honor loved ones who have lost or are currently fighting a courageous battle with an asbestos-related disease. Utilized ADAO’s Facebook Page, Facebook Group pages, and Twitter presence to provide an interactive medium for those seeking a space to share, connect, or access information. Published numerous video and blog interviews with mesothelioma patients and experts. Less Cancer’s National Cancer Prevention Day on Feb. 7in Washington D.C.
“Asbestos: Prevention and Policy: Eliminating Asbestos Exposure in the 21st Century” at the 2018 Insulators International Invitational Symposium on Asbestos in Miami, Florida on March 7-9. “Mesothelioma Advocacy in the 21st Century” at the 14th International Conference of the International Mesothelioma Interest Group – Ottawa, Canada on May 2-5. TSCA and Asbestos: EPA’s Failure to Protect Public Health” 13th ADAO US Congressional Staff Briefing, September 26 in Washington, D.C.
2018 was a busy, but successful year for ADAO. We are excited to build on our momentum as we enter 2019 and get even more done as we work to ban asbestos without any loopholes or exemptions! Together, we will make change happen.